We provide COURT APPROVED theft prevention and shoplifting prevention classes in the state of Georgia. We offer theft classes and shoplifting classes to those that live in the Atlanta Metro Area and all of the cities within and outside of Georgia. 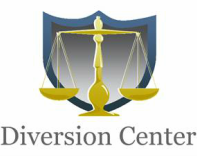 ﻿﻿﻿We provide court approved shoplifting prevention classes to clients that have been accused of shoplifting. This is a affordable option to help you complete your court and probation requirements. Classes are offered once a week and are not online classes. Georgia courts and probation do not accept online classes or certificates. This is an instructor led course that is taken in-person, in a classroom setting. After completing the course the you will receive your certificate of completion on the same day.